With all the brand new 2017 pressed pennies and quarters that were just put on stage throughout the Walt Disney World property you think a little down time may have been needed. 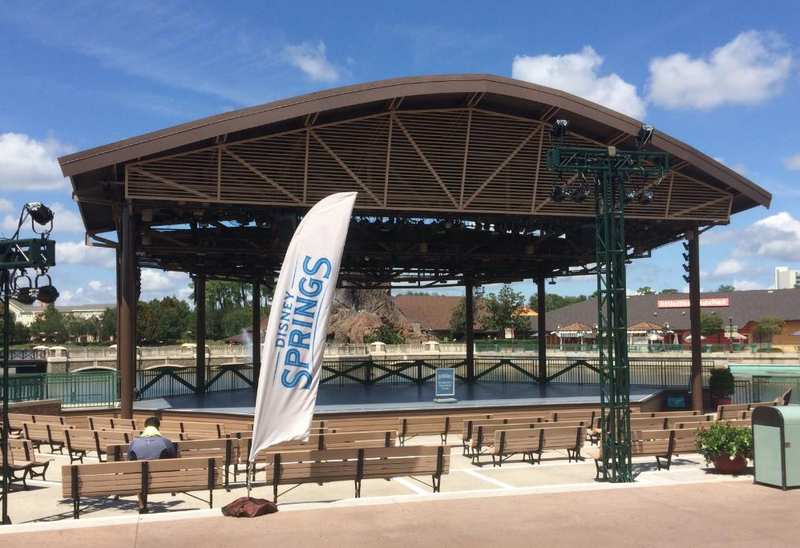 But thankfully for us diehard collectors another new machine was just put out at the Waterside Stage in Disney Springs. If you are like me you have probably past this place a hundred times and not really noticed it. It’s located right across from the World of Disney gift shop. The machine is at the back behind the seating towards the right side. 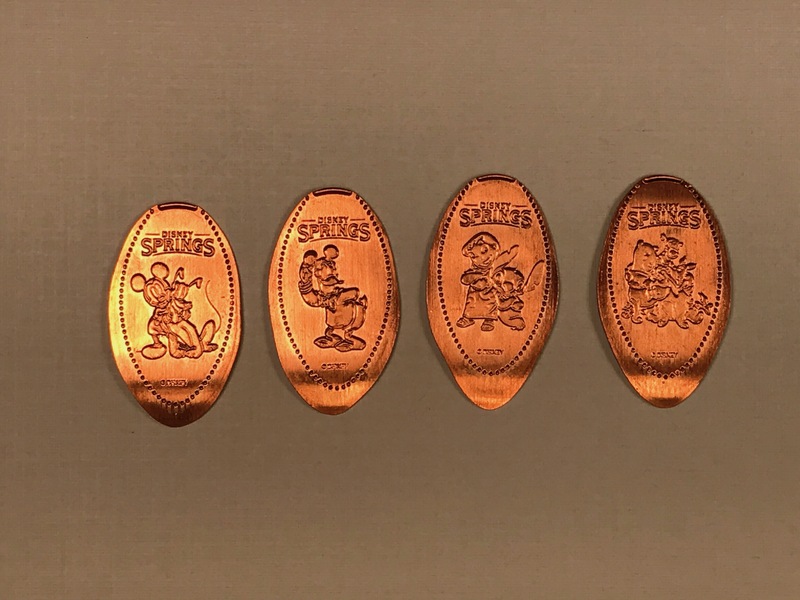 All four of the pennies have the Disney Springs logo across the top, and have images of Mickey & Pluto, Donald with Mickey ears, Lilo & Stitch, and Winnie the Pooh with his friends. This is a nice new set and is in a location I haven’t seen a coin machine at in the past. There are more stores and restaurants due to open later this year at Disney Springs so maybe they will continue releasing new pressed penny machines at the same time. Be sure to keep an eye out and your pocket filled with change just in case.